Eczema is a chronic inflammation condition of the skin that is coupled with itchiness. When symptoms are severe, it may be associated with several types of infections due to breaking down of the skin since its role is served as the body's natural barrier. Breaking down of the natural barrier of the skin due to inflammation in eczema or dermatitis make it easier to contract many types of bacteria, viruses of even fungal infections. It also acts as a large area to sensitize to many environment allergens that would normally only limited to the airway. 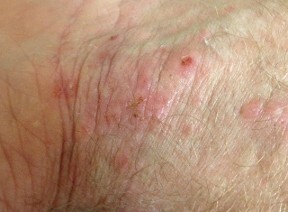 Many things contribute to the development and severity of eczema including environmental allergy, food allergy, infections, micro-nutrient deficiency causing defects in skin adhesiveness, and skin dryness caused by sequestering of natural sebum or the natural oil from the overuse of detergents and soap or by dry air due to using of heater during winter time. It also often associates with allergy and asthma, especially in children. Severe cases of infancy eczema can be a presentation of severe primary immunodeficiency. Severe eczema can affect you and your family's quality of life significantly if it is not controlled. 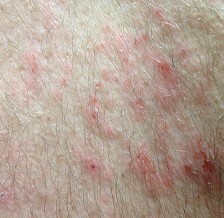 Allergic contact dermatitis presents itself with the same itchy inflammation of the skin. It is caused by prolonged contact of your skin to heavy metals, chemicals, cosmetics or toxins. Successful treatment of both conditions depend on identifying and controlling triggers and getting appropriate medications for symptomatic control. Using medications to treat eczema only usually does not lead to long lasting suppresion of the inflammation and often lead to recurrent disease. Controling triggers of the inflammation is key to sucessful treatment of the disease. In case of failure to control triggers of inflammation downstream, a biologics can be used to block the its action upstream. Please come for a discussion if you or your family member has or suspects to have any of those diseases to see how we could help. Below are services and procedures that we offer at Texas Allergy for this condition. Disease modifying agents and biologics/monocloncal antibodies in case of failure from these above methods.